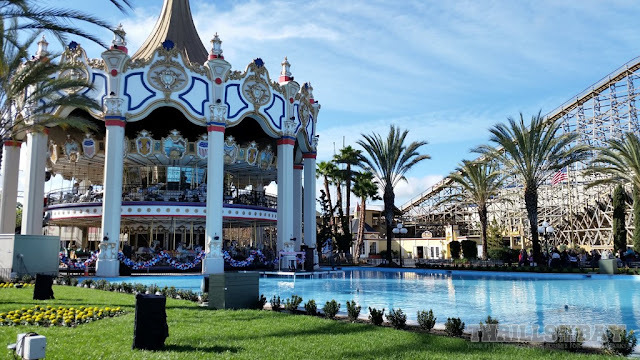 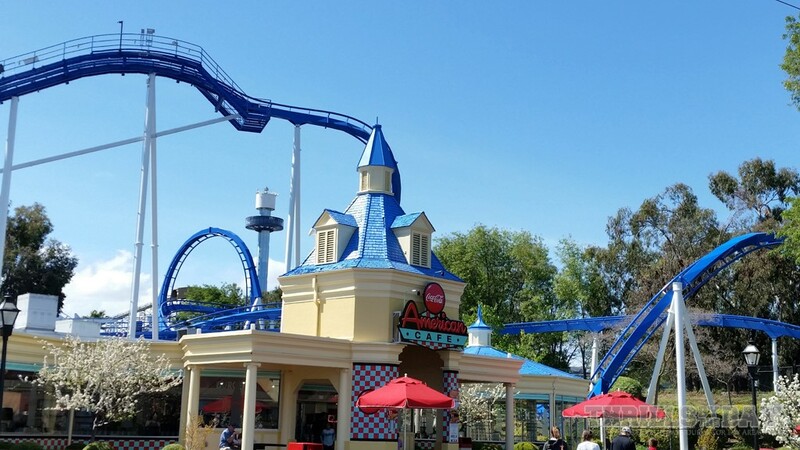 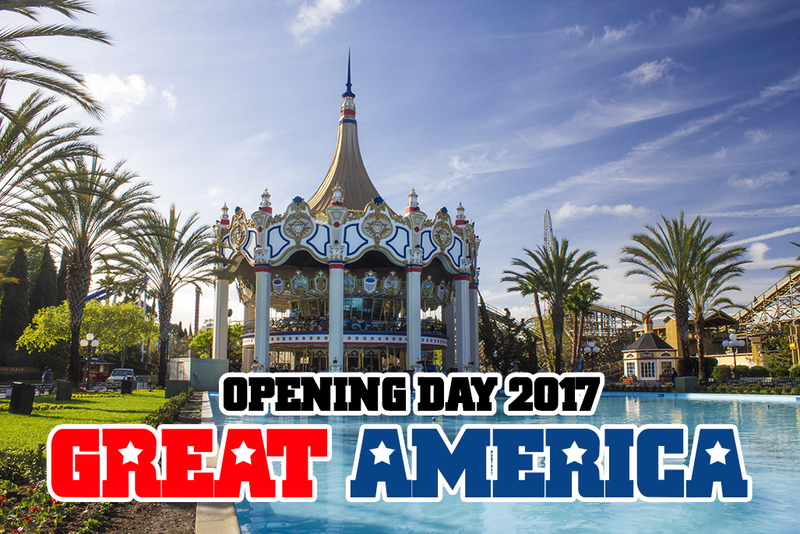 After three months of dormancy since WinterFest, California’s Great America has officially opened for the 2017 season! 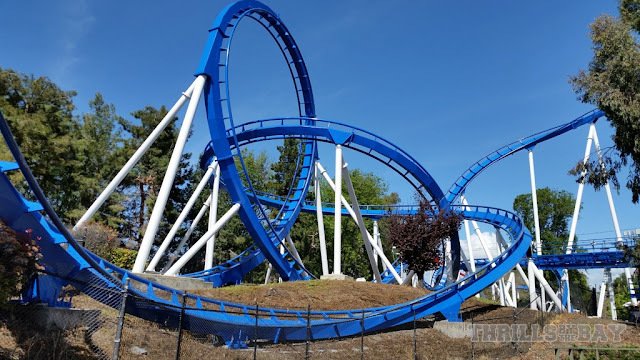 In this update, we’ll fill you in on our opening day experience, including all the changes and improvements happening around the park as well as the occasional operational problem. 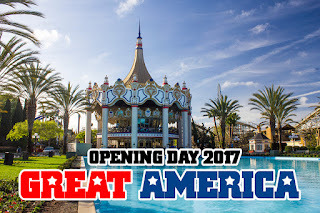 A common problem with opening day is that operations are slow, and the 2017 season is no different. 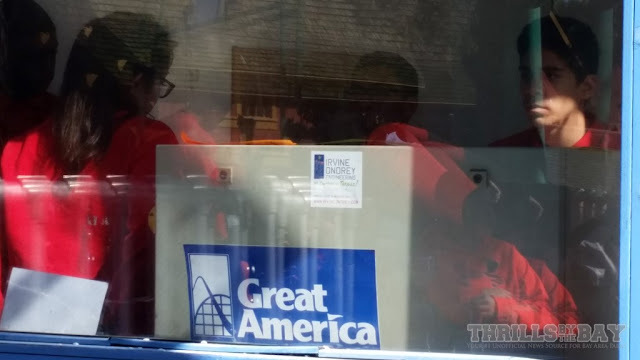 Ride crews have yet to get into their groove (it is their first day after all and will find their groove in the coming weeks), and some rides such as Star Tower were not running yet. 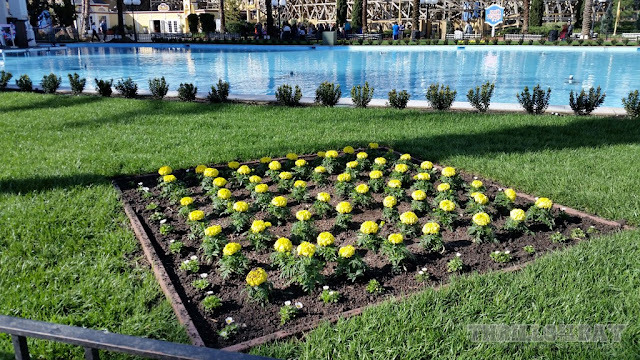 These problems do eventually iron out as they have year after year, and by the time summer comes the park should be running on all cylinders. 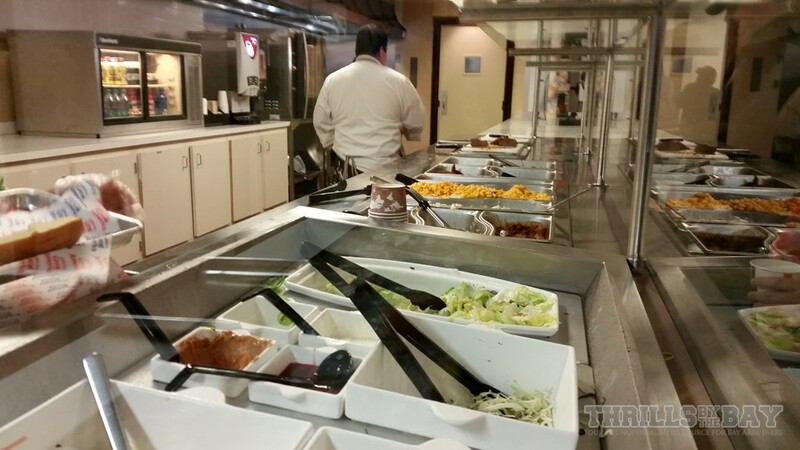 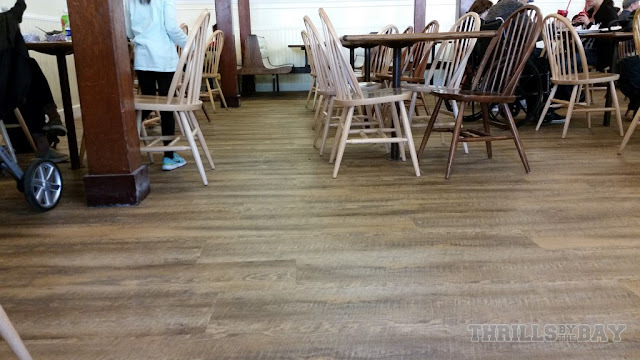 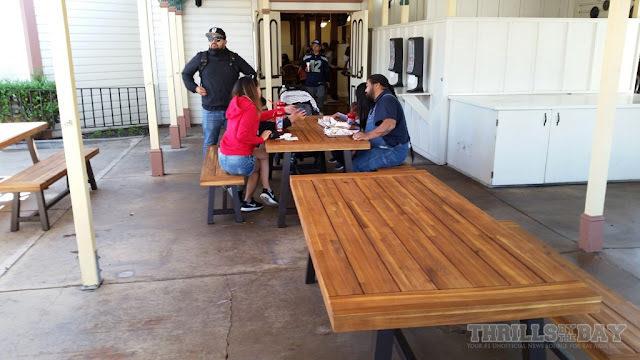 Operations aside, the park has made some notable infrastructure improvements as well as a significant upgrade to their flagship eatery. 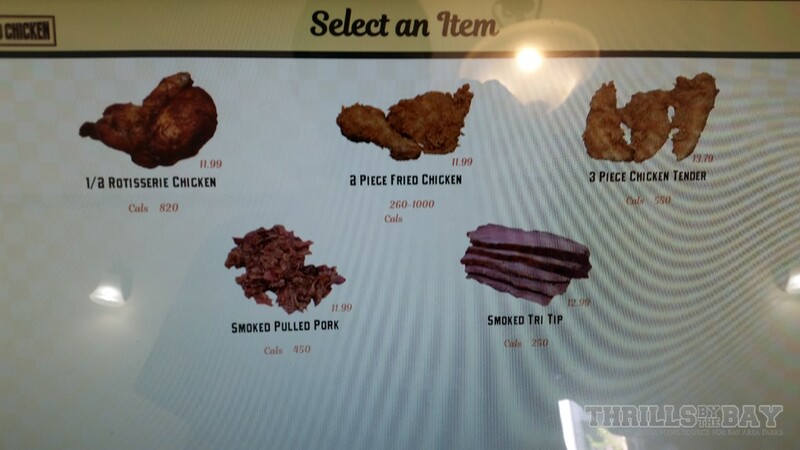 Maggie Brown’s Fried Chicken has transformed into Maggie’s Smokehouse and Fried Chicken, which adds tasty new offerings and an upgraded order system similar to the one implemented at Food Festival in 2016. 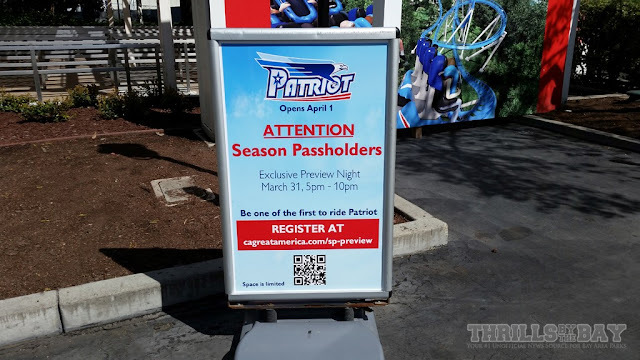 Maggie’s is undoubtedly one of the main highlights of the 2017 season outside of Patriot (which will officially open Saturday April 1st, with media and season pass previews on March 31st), all this and more in the photos below! The park readies itself for 2017.
along with the lineup of improvements for 2017. …and a shot of confetti, the park opens its gates! 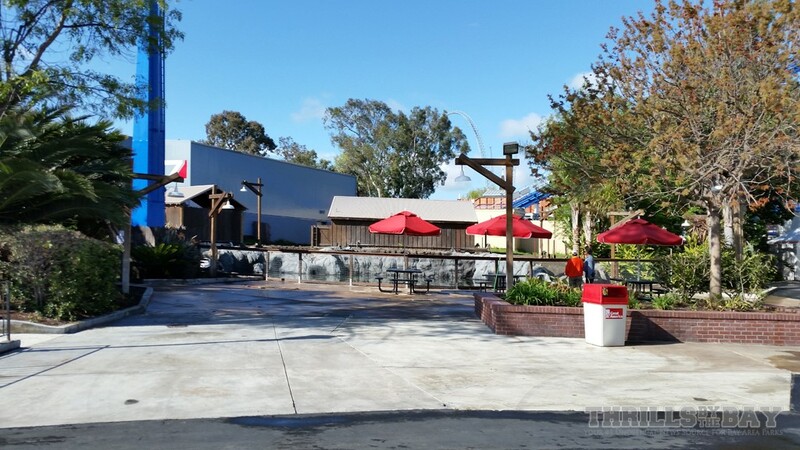 Our first stop, of all places, is Psycho Mouse. 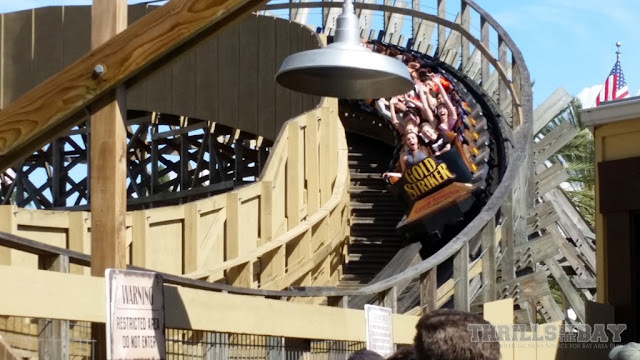 This ride has had its control system overhauled by Irvine Ondrey Engineering, who did the controls for Gold Striker. We hope this will improve the capacity of the ride as it tends to develop a long line. 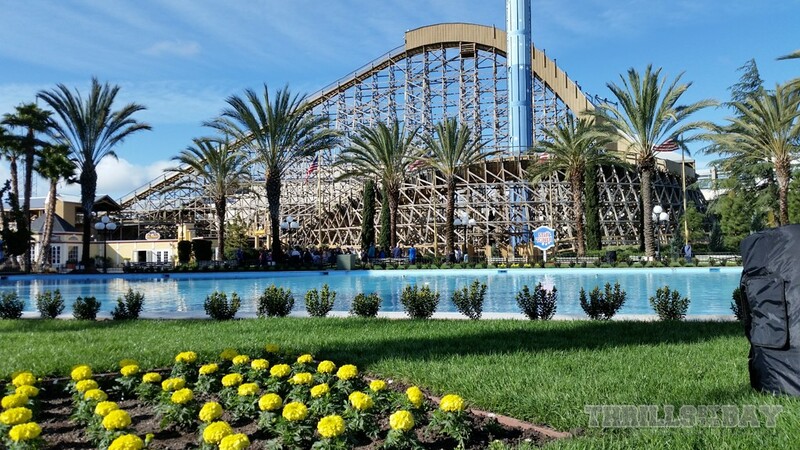 Speaking of Gold Striker, we find it is finally starting to show its age, as any wooden coaster would. 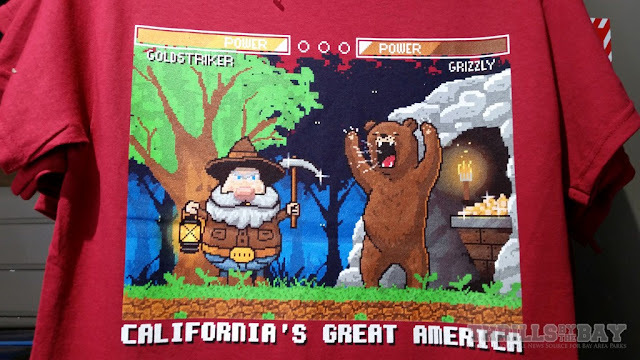 Let’s hope it ages well! 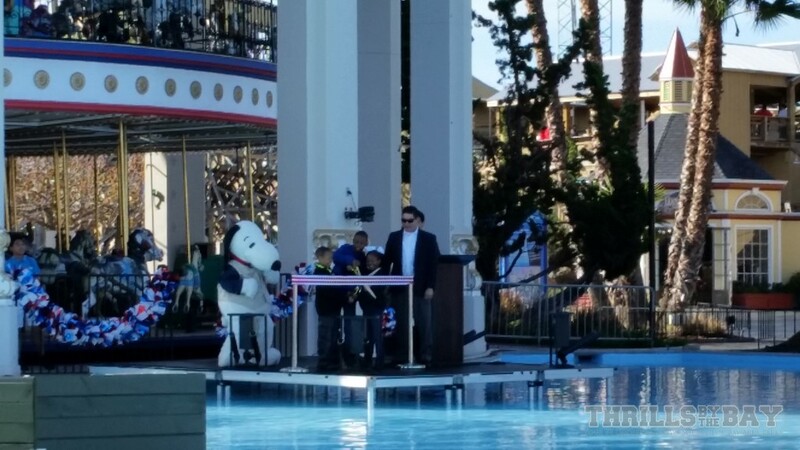 This new Gold Striker merchandise is hilarious and awesome! If anything, it tells that just because there’s two wooden coasters in the park doesn’t mean they offer the same ride experience, far from it! 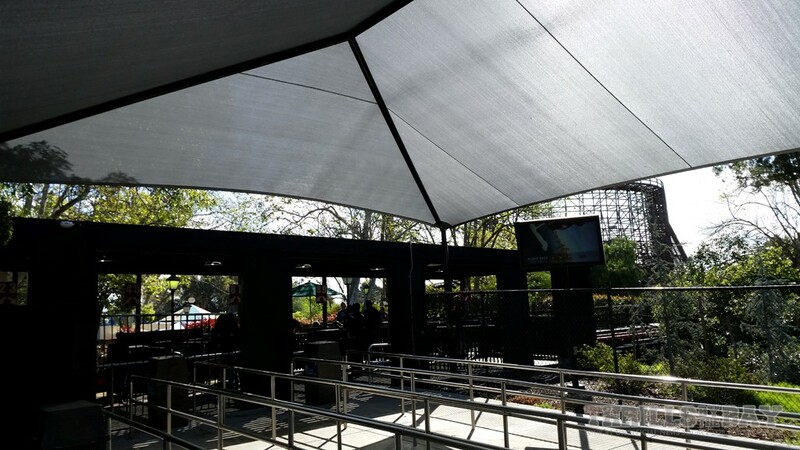 Over at the classic Arrow looper Demon, some much needed shade has been installed over the queue. 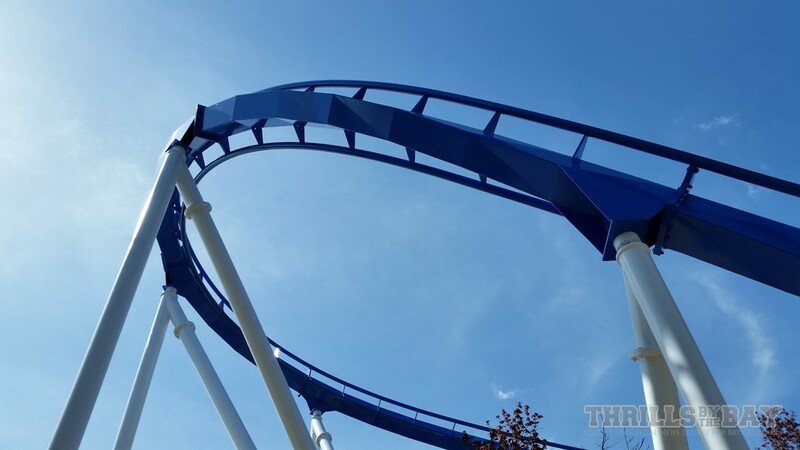 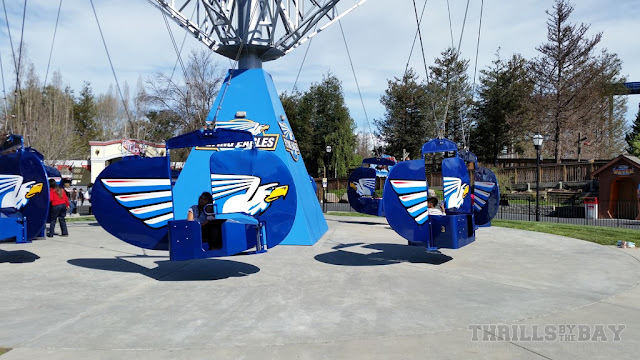 All the tubs on Flying Eagles have been repainted, now they sport their original deep blue color as they were in 2002. 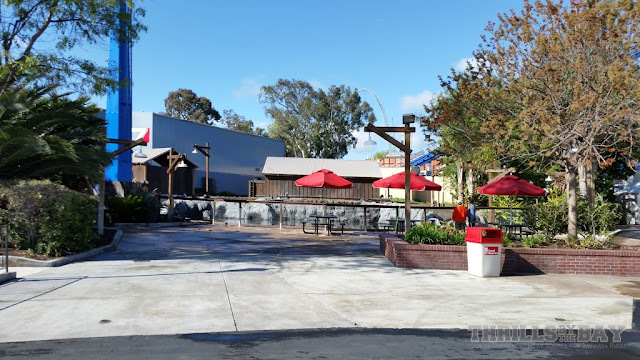 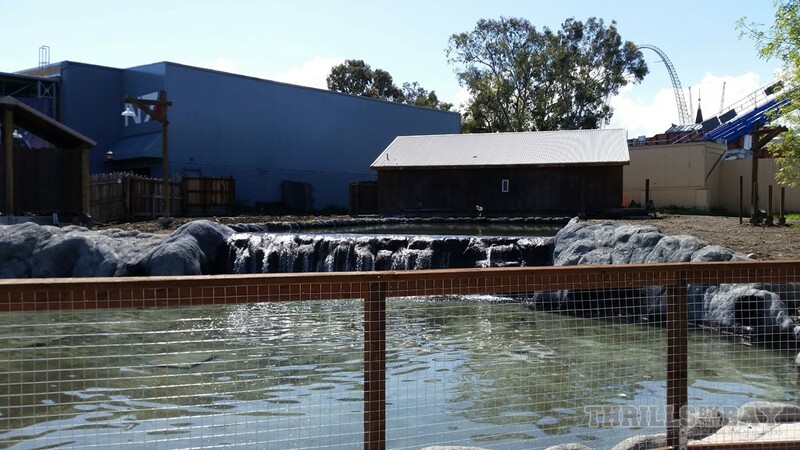 Hopefully the park will come up with something cool to place here in the coming years, as the remaining water and rockwork can be an eyesore as far as having a cohesive atmosphere in the area. 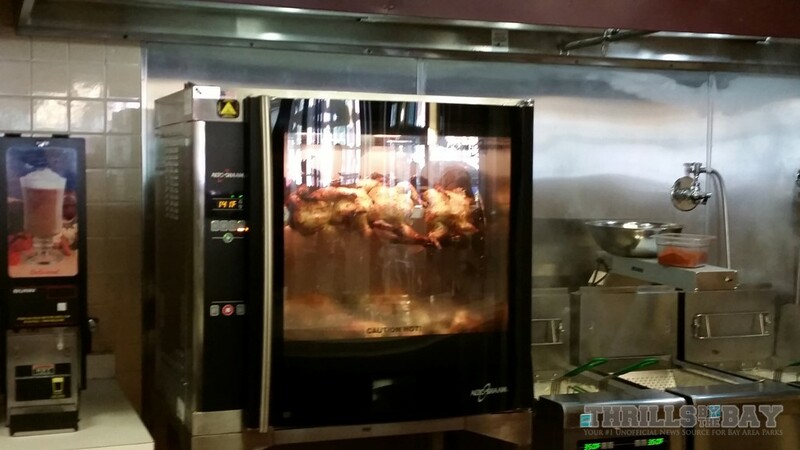 Here we go for the big highlight of the day (and possibly the season), Maggie’s Smokehouse and Fried Chicken! 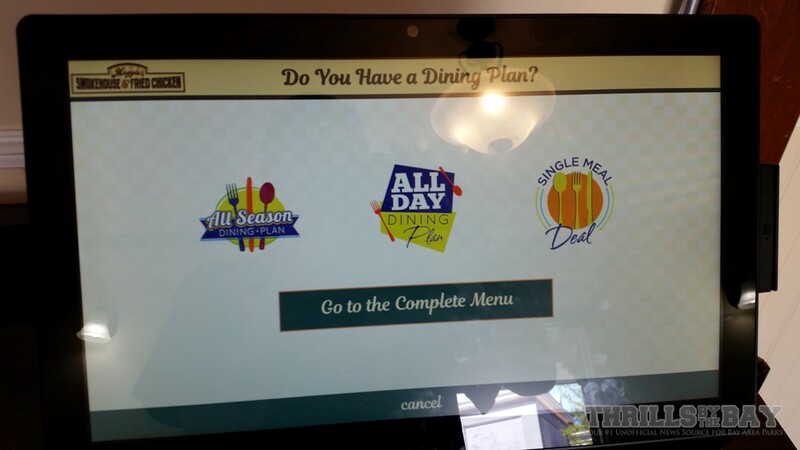 They’ve added a smooth, quick touch screen menu just like at food festival. The outdoor seating area has also gained some new tables. 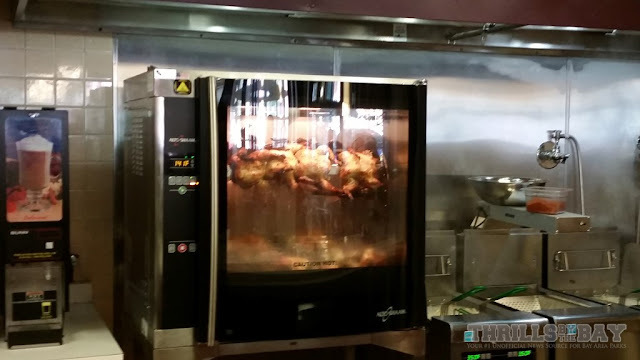 …and a rotisserie oven bring a more dynamic feel to the area as well. 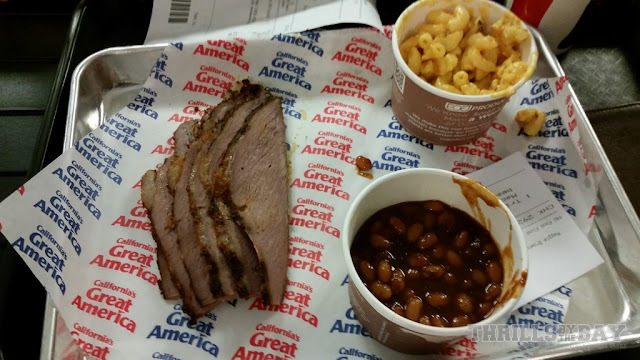 We tried the tri-tip steak and thought it was very good! When you order a platter you can choose two sides that will be included in the meal. 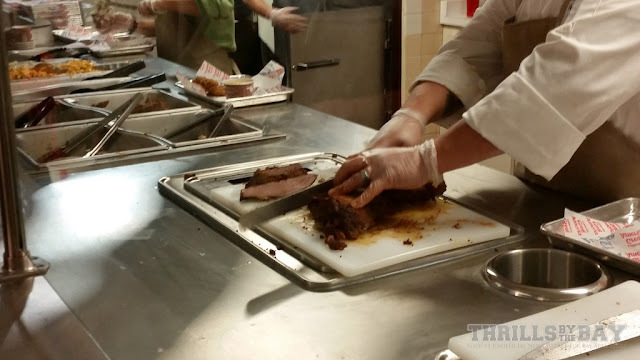 The tri-tip is hand cut as seen here. 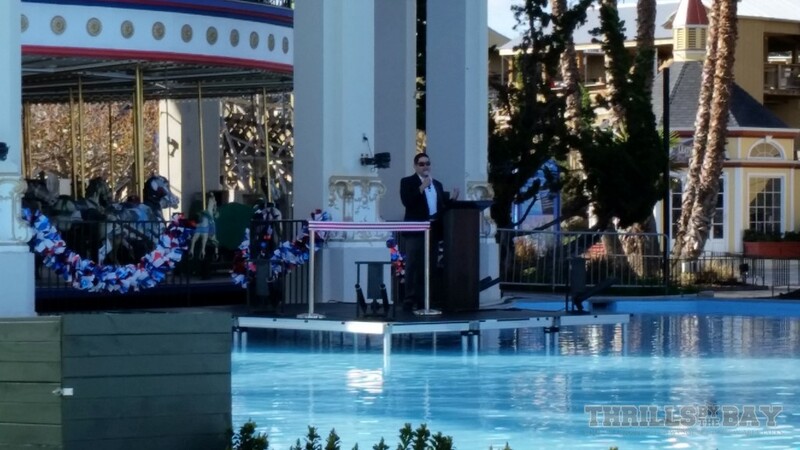 It would not be 2017 at CGA without Patriot! This sign provides the details of the ride’s opening next weekend. 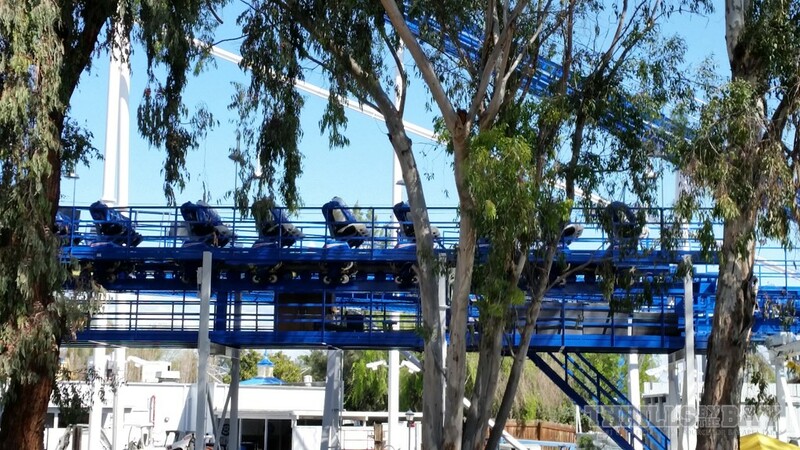 New floorless trains from B&M sit on the track awaiting their first riders (no water dummies do not count!). The season pass processing center waiting area provides one of the best shots of the ride. 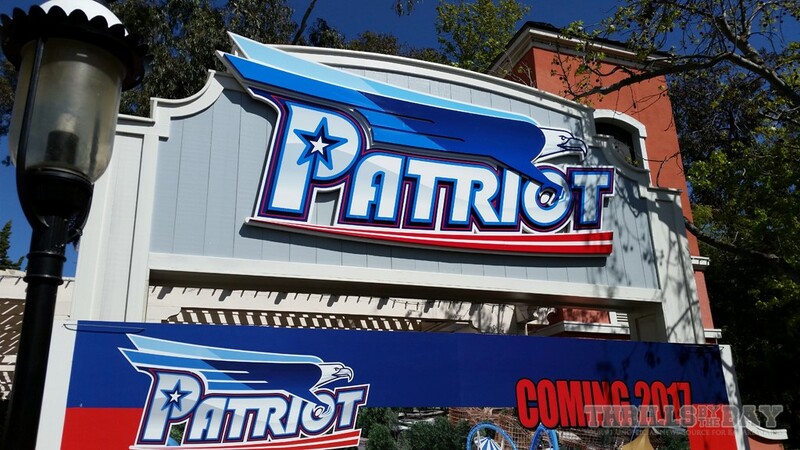 Thanks for reading our opening day update, stay tuned for our upcoming Patriot update!